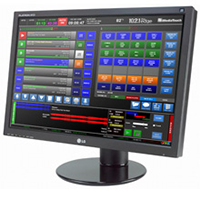 win-OMT is an automation solution provider to the media and broadcast industry. Our products touch millions of listeners world-wide every day through radio, satellite, cable and internet broadcasts. win-OMT is also a world leader in providing large scale audio delivery systems used by DTH satellite services and cable music systems. win-OMT takes pride in our commitment to innovation and outstanding customer service. win-OMT has been recognized for our innovative products and technology by RadioWorld's "Cool Stuff" Award at the National Association of Broadcasters convention, as well as through the strong ongoing loyalty of our many clients across North America and Internationally. win-OMT's successes are due, in part, to having a keen understanding of multi-media technology and emerging trends in the industry. Ultimately our success has been based on understanding our client's requirements and proposing solutions that meet and exceed their expectations. win-OMT Software - Committed to Product Innovation and Support for over 30 years! 2009 win-OMT introduces Websecure + and iMedia Archive. © 2019 win-OMT Software Inc. All Rights Reserved.